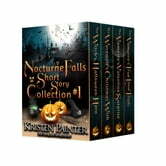 Nocturne Falls fans will definitely enjoy! I enjoyed this collection of short stories. Each story told a little more about a couple and what they're doing now and also answered a few questions. Definitely worth reading if you're a Nocturne Falls reader. I really enjoy the entire series.